EPICA AWARDS 2018 open for entries July 31st with the deadline September 30th. Please contact us for more details. 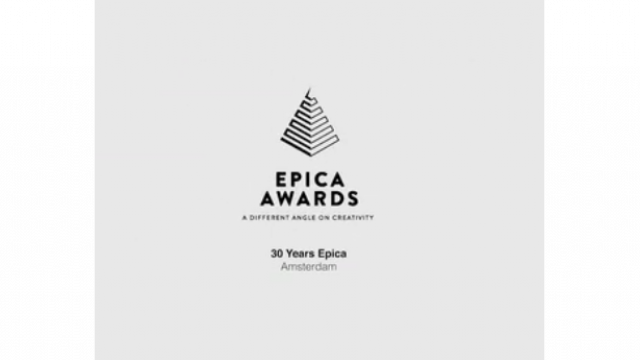 Epica is the only global creative prize awarded by journalists working for marketing and communications magazines around the world. It offers an independent jury and global press coverage. Launched 30 years ago, today it is an international celebration of creativity, attracting thousands of entries from more than 70 countries. Epica entries are judged on the basis of 2 criteria only; the originality of the creative idea and the quality of its execution (except in the Craft & Imagery categories where only executional quality is taken into consideration). The Epica results are determined by category. The highest scoring entry in each category wins gold, on condition that the work surpasses a minimum score that qualifies it as a category winner. Other entries in each category that achieve this score win silver or bronze. When no entry meets the standard there are no winners in the category. Five Epica d’Or (grand prix) will be awarded to the best overall film, press, outdoor, Digital and interactive entries. These will be selected from all the category winners. Every agency that enters the Epica Awards automatically receives a free copy of The Epica Book. In fact, the book is one of the reasons many agencies enter year after year, without fail. It showcases all the Gold, Silver and Bronze entries, as well as other high-scoring finalists. Weighing in at 400 pages, The Epica Book is packed with images, statistics and synopses, alongside agency credits and a detailed index. It also features in-depth articles about the Grand Prix winners, with interviews and behind-the-scenes revelations. The book is compiled by our in-house editorial team and published by Bloomsbury. As well as being sent out to entrants, it is circulated to journalists and VIPs and sold at selected art and design bookstores around the world. The Epica awards are open to all communication agencies, film production companies, media consultancies, web agencies, PR specialists, photographers and design studios worldwide. Only work that has been approved by clients and used, published or broadcast is eligible to enter. Work that does not meet these conditions will be disqualified in order to preserve the integrity of the competition and to ensure that all genuine entries have a fair chance of success.